He put together two solid bullfights on Saturday night. In his first-round match, he outlasted two young guns, Chance Moorman and Trenton Ross, to advance to the Hooey Championship Round. 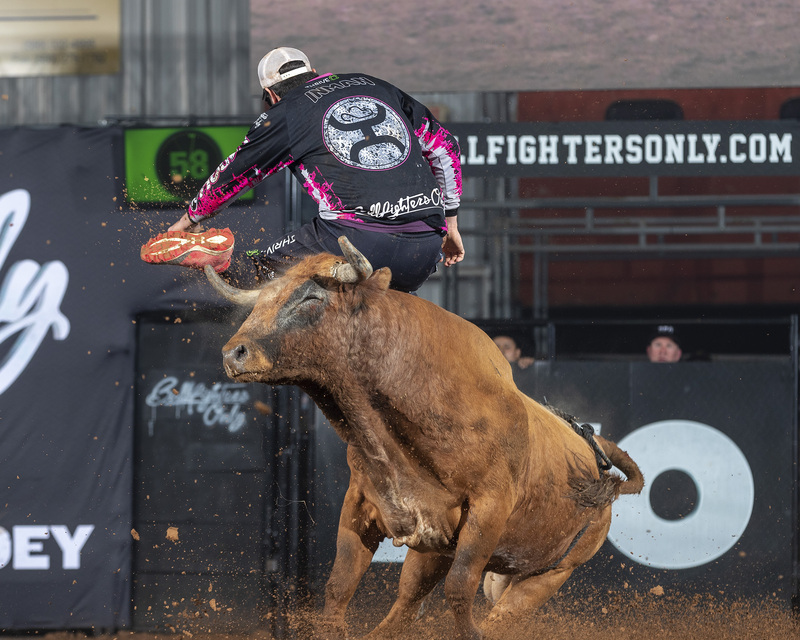 That’s when he put on a show that only Inman can, starting off with a jump, then making rounds and utilizing back fakes to keep the bull just a half step away. Nonetheless, he posted an event-high 87-point bout to win the championship, fending off Tucker Lane, Colt Oder and Seth Wilson along with veteran and BFO Pioneer Beau Schueth. Also for the second straight year, Oder finished second at the Ada Invitational. Only Inman, Oder and Lane finished their bouts; neither Schueth nor Wilson was able to last. That’s just proof of the test the bullfighters put themselves through while competing for unprecedented money in the BFO. “The bulls are always going to be tough in the short round of a BFO event,” Inman said. “Some guys are able to handle them, and sometimes you just get caught. I’ve been there. You can have it won in the first 15 seconds, then the bull catches you and you’re done. Wilson first stepped into the BFO arena 16 months ago at the Las Vegas Championship after a strong showing at BFO’s first Development Camp. He was 17 years old and earned big points while testing his talents alongside the greatest bullfighters in the game. Now 19, he returned to the BFO in Ada as one of 15 men who competed Friday night in the Qualifier Round. The event featured five three-man bullfights, with the round winners advancing to Saturday night. 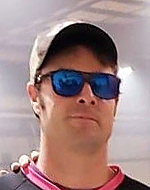 Wilson was one of the five to advance to the championship. “That definitely made me feel good,” said Wilson of Jackson Hole, Wyoming. “Ever since my first Vegas event, I haven’t made it out of a Qualifier Round. To get that out of the way was great. The weekend prior, he suffered a leg injury. Though he had done well on his first two bulls in Ada, the leg took another shot. Still, he proved a point to himself and his fellow bullfighters. He was a winner two of the three times he entered the ring, and he’s already looking forward to his next opportunity with the BFO.